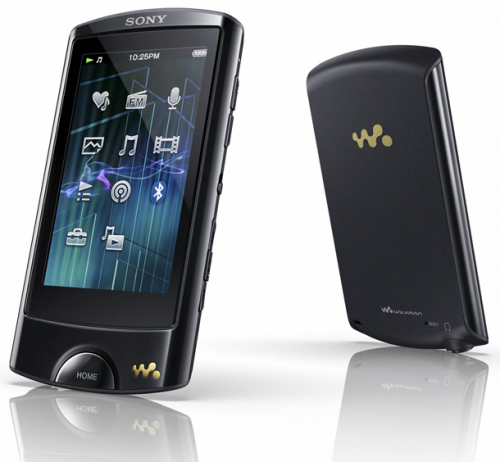 Sony has just released the newest Walkman A series, the NWZ-A860. Sony promises a variety of facilities in this new walkman, such as bluetooth, clear sound, and audio recording facilities are easy. Not only that, the A860 also has an attractive design. Sony uses the technology crystal clear sound with bass yahud, thanks to the latest audio technology Dynamic sound enhancement engine. 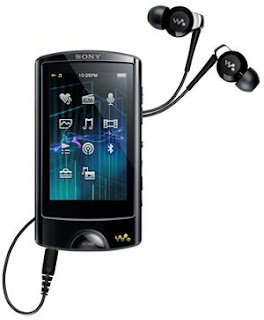 In addition, A-860 which was released simultaneously with the two other Walkman NWZ-S760BT and NWZ-E460, has a bluetooth facility. With these facilities, the owner of A-860 to listen to songs via wireless phone, or even car audio, as well as devices that have other bluetooth facility. In addition, you can also take advantage of this Bluetooth service for sharing photos. A-860 has a 2.8-inch toucscreen WQVGA (400 × 240) TFT full-color images that promise. This Walkman has two memory options. To Walkman with 8GB of memory, you had to spend U.S. $ 179 or approximately 1.5 million dollars, while for the 16GB costing USD 219 or about 1.8 million dollars.